In partnership with The Fat Quarter Shop Lori Holt has published her first book. 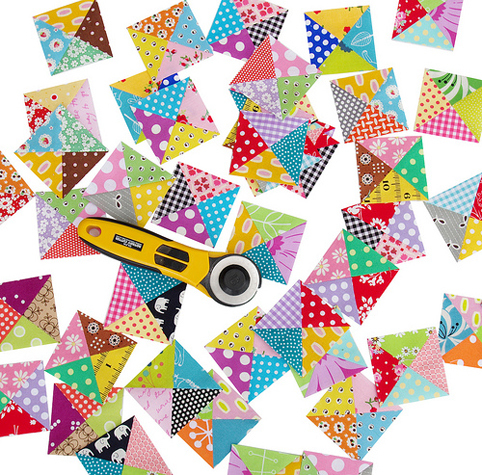 I am a huge fan of Lori's work and love her colorful style of patchwork and endless creativity. 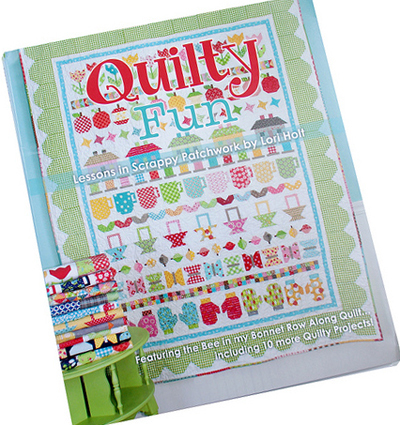 The book includes the complete set of instructions for Lori's Bee in my Bonnet Row Along Quilt (which is featured on the cover of the book) plus 10 coordinating projects for the home including quilts, pillows, table runners and a sewing machine cover. 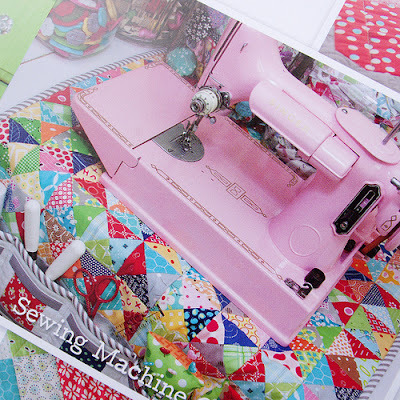 The book is spiral bound (which I rather like as it then lies open/flat as you follow a pattern) and is beautifully presented with photos of all the projects surrounded by vintage goodies collected by Lori. 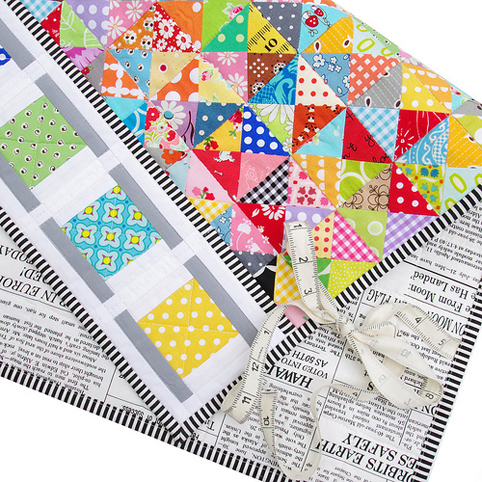 The project that caught my eye and made me immediately want to whip out my rotary cutter and fabrics scraps is the Sewing Machine Cover and Mat; this project looked so cute and a cover is exactly what my sewing machine needed. The fabric requirements, cutting and sewing instructions were clear, concise and easy to follow; no problems were encountered and I couldn't wait to see it come together. I may have stayed up till the small hours of the morning to finish it. 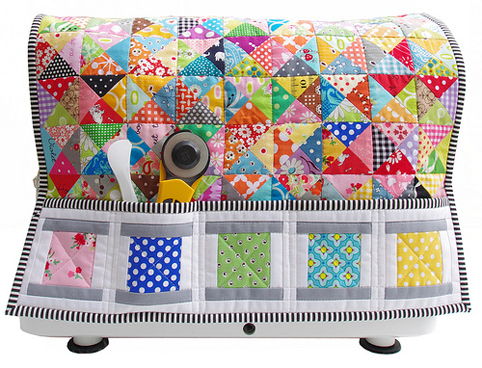 And here is the finished Sewing Machine Cover and Mat. I made this cover for my Juki sewing machine (and as it has a bigger throat space - and therefore stands taller than a standard sewing machine - I did make the cover longer by adding one extra row - a really simple adjustment to suit the size of your machine). GIVEAWAY ALERT! Ah, lengthy post. 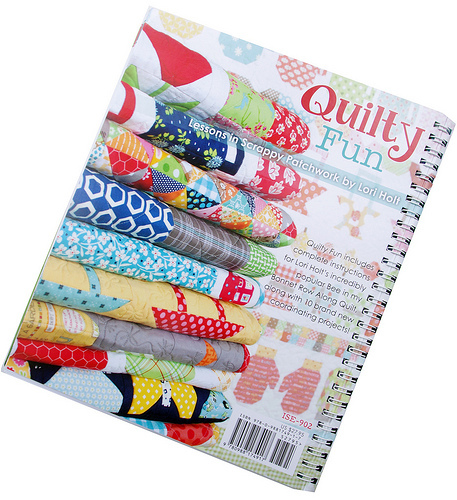 I hope you're still reading as the Fat Quarter Shop team are giving away a copy of Quilty Fun by Lori Holt to one lucky RPQ reader! THANK YOU Fat Quarter Shop!! To be in the draw for this giveaway please leave a comment on this blog post. 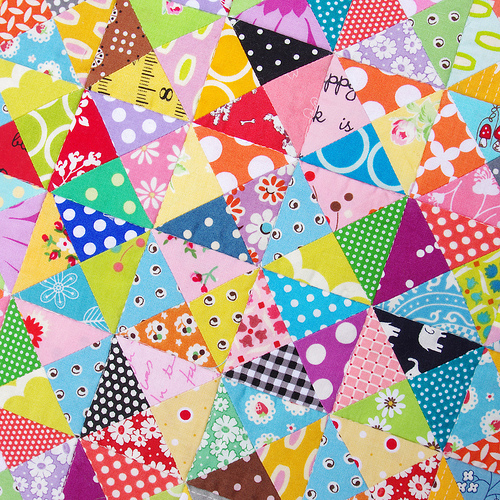 Only one comment per person/per email address - email me if you have any difficulty leaving a comment (redpepperquilts at gmail dot com) and I will leave a comment on your behalf. The draw will take place at 9 am on Sunday 3 November 2013 (USA-EDT). The winner will be announced by edit to this blog post and will also be contacted by email. 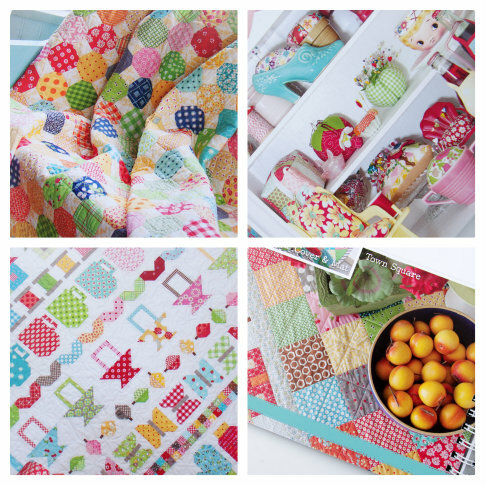 Quilty Fun Sew Along and Blog Tour - you don't want to miss this fun sew along - all the details here. 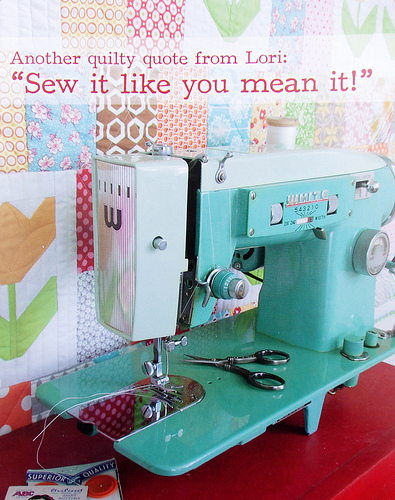 Congratulations Lori on such a great publication, and I look forward to seeing more of your scrappy patchwork! Thank you for all of your 450+ entries! Congratulations Lesley! Lesley has been contacted by email. Thank you for stopping by and good luck with your entry to win a copy of Lori's book!